Lutyens Maverick: Ground Realities, Hard Choices and Tomorrow’s India. Would India be better served by ‘One nation, two elections’? Why should Modi go boldly where no Indian politician has gone before, and reform political funding? Will the disinvestment of Air India erase doubts about NDA government’s will to reform? Can Pakistan’s new PM deliver a cooling of border tensions? Has the Supreme Court’s triple talaq judgement set the country on course to a uniform civil code? Is death penalty the only answer to the horrific rapes across the country? These contentious questions are just a few of the myriad political, economic and social issues that four-time Member of Parliament Baijayant ‘Jay’ Panda analyses in his latest book, Lutyens’ Maverick. Backed by hard facts and indisputable numbers, this publication is the opinion of one of the most articulate voices in the Parliament today. Written in impeccable prose, Panda presents a scholarly survey of various events, tracing their origins and offering answers to them. 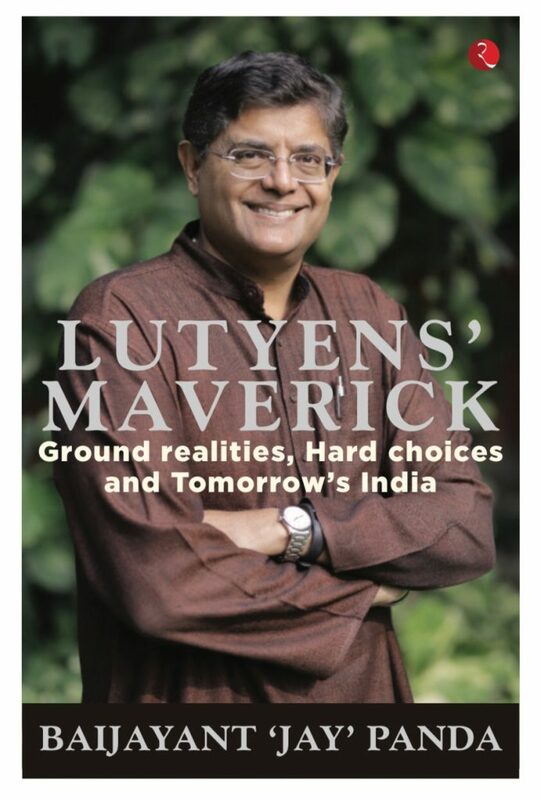 “Lutyens’ Maverick is a collection of short essays by the author who has served in the Parliament for 18 long years and has the rare distinction of being elected twice each to the Lok Sabha and the Rajya Sabha,the book is divided into six sections and ranges from topics like reservation for women in Parliament to the Yakub Memon frenzy. It gives an insight into the erudite mind of Panda and restores faith in politicians. This book is extremely important keeping the forthcoming elections in mind because it, at length, discusses issues that really matter to the country and jogs the public conscience.